These presentation slides 44949 are complete compatible with Google Slides. Simple download PPTX and open the template in Google Slides. The design of this impressive template won’t leave anyone indifferent. 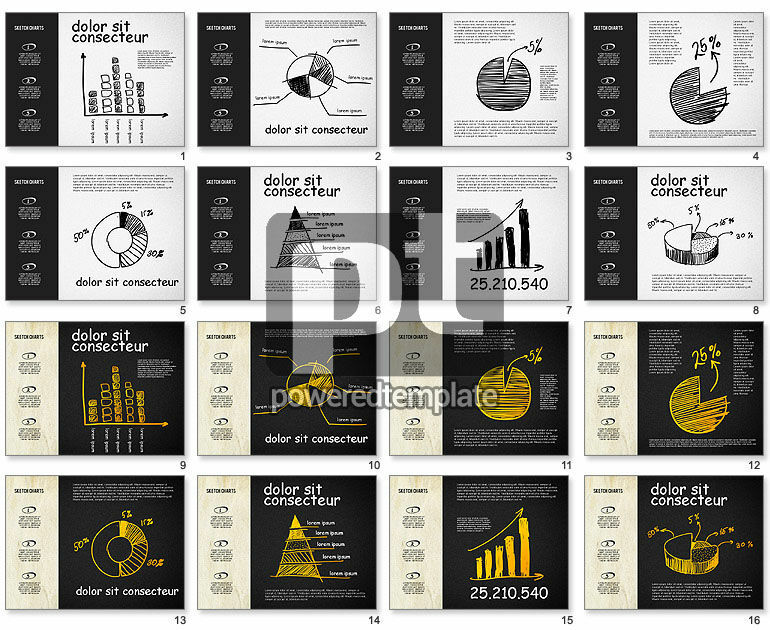 Created in a chalkboard doodle style, it has various charts, scales, graphs, pyramids and arrows with two color solutions of the background in a black-white-yellow color palette. Such a nice sample will be great for different kinds of presentations in business, media and other spheres due to its multifunctional content.